Earth's greatest fear becomes a reality when UFOs are finally confirmed - the aliens come from a dying planet millions of light years away, seeking human organs to repair their own decaying bodies. In a raging inter-galactic space-battle, top secret defence organisation SHADO attempts to save Earth from this alien terror! Specially made on videotape for syndication in Europe and America, this amalgamation of six episodes from Gerry Anderson's UFO has always looked and sounded below par - until now! 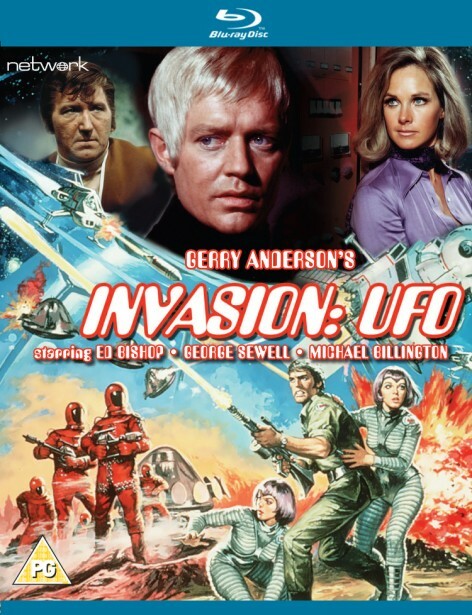 Re-made in full widescreen from restored High Definition elements sourced from the original 35mm negatives, Invasion: UFO is presented here with both original mono and Dolby 5.1 soundtracks.